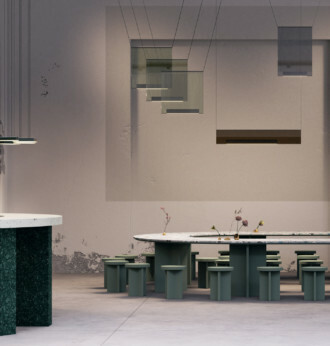 It's time: The Salone del Mobile 2019 calls to Milan. Like every year, the main question is which of the many new products you should definitely have seen. 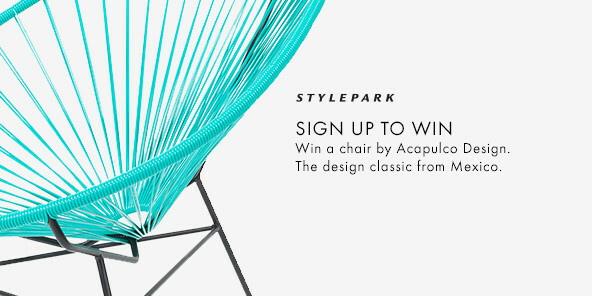 Stylepark was allowed to take a look at the new products in advance: Out of altogether 121 submissions from 60 companies, the internal, incorruptible jury selected 22 prizewinners - in our opinion, the award-winning products offer perfect examples of contemporary design that impresses both creatively and technically. 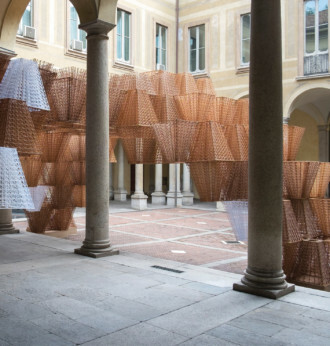 Are you going to be there for Milan Design Week? Then you should take a closer look at the following products! 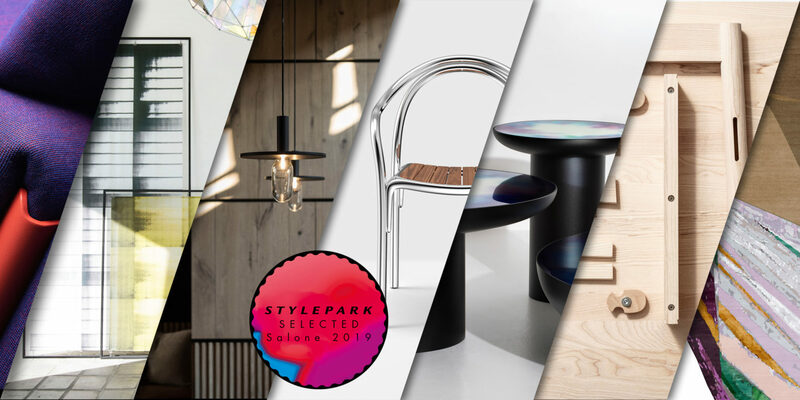 Here are our 22 Stylepark Selected Award winners from Salone del Mobile 2019 in alphabetical order. Jury statement: So simple, so ingenious - Alfredo Häberli has folded a chair made of wood and composite materials with “time” for Alias. The punched result looks a bit like artistic origami, even though the designer's inspiration comes from the production of snowboards. 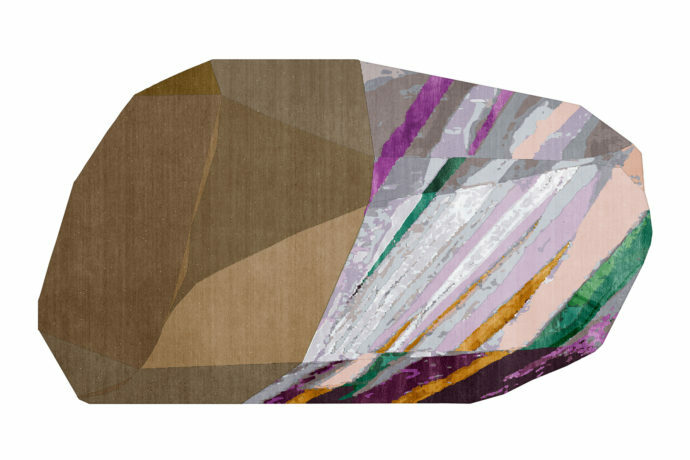 Jury statement: For her “Fordite” carpet, designer Patricia Urquiola was inspired by a recycling process from the automotive industry. Fordite is a multi-layer, hardened paint that is sometimes recycled in the jewellery industry. The Spaniard transfers the idea to the recycling of wool from the carpet production of cc-tapis. Her carpets with a gemstone character remain unique due to the different availability of the material. Jury statement: As “a vision of running water” Dedon describes the design by Stine Gam and Enrico Fratesi. We simply imagine the sun blinking through the tightly laced head of the terrace double bed and find that “Rilly” is a real eye-catcher especially for its formal lightness. 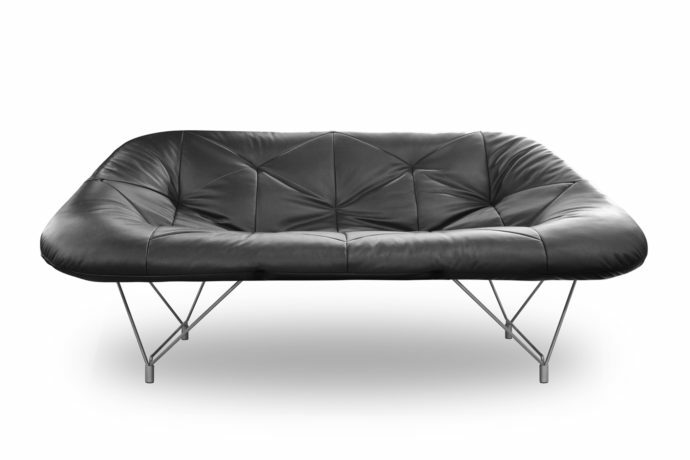 Jury statement: Chen Min and the de Sede design team show a successful contrast with “DS-319” - the filigree metal frame carries a softly padded leather cover. The triangular pattern can be highlighted by individual colours. Jury statement: “Aria” by Atelier Oï for Desalto is light and transparent - a single transparent panel of fabric each surrounds the metal structure of the armchair and stool without hiding them. 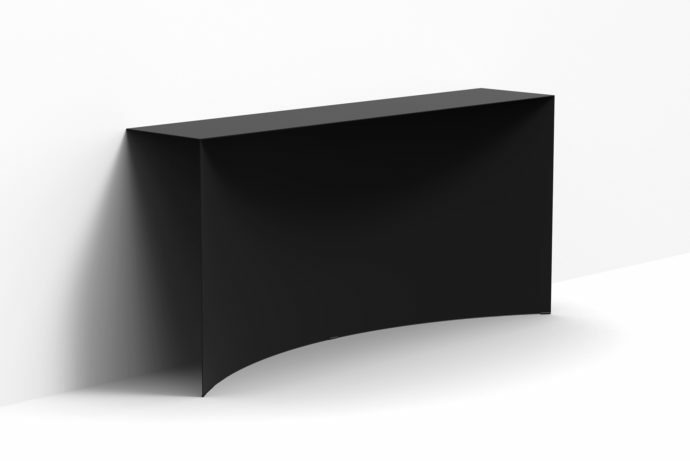 Jury statement: The furniture collection “Void” by Guglielmo Poletti for Desalto impresses with its black steel texture. The walls of the tables and wall-leaning boards are at least three millimetres thick. According to the manufacturer, the design examined the “form in relation to the architectural ideas of mass and emptiness”. Jury statement: Sustainability and a new way of thinking - the chairs and stools “On & On” by Barber & Osgerby for Emeco are made of recycled materials such as plastic bottles and glass fibre, are suitable for indoor and outdoor use and are an eye-catcher thanks to their curved backrest. 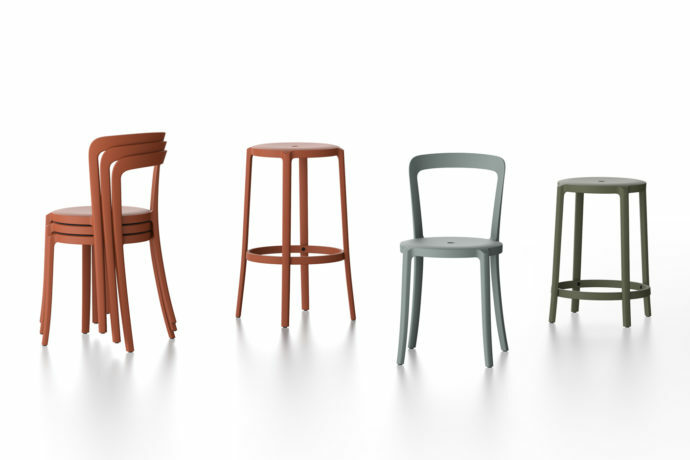 In many colours and variations, with seats in oak, ash or upholstered, there are numerous possibilities for an individual design. Jury statement: The term Asana is primarily known to practicing yogis as an umbrella term for various yoga postures. 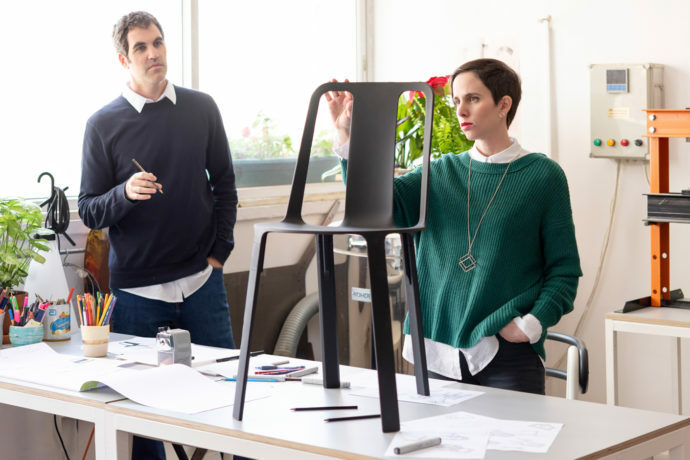 OiKo Design from Barcelona was inspired by one of the exercises and created a luminaire that depends on balance. The movable arm of the light stick can be individually adjusted. 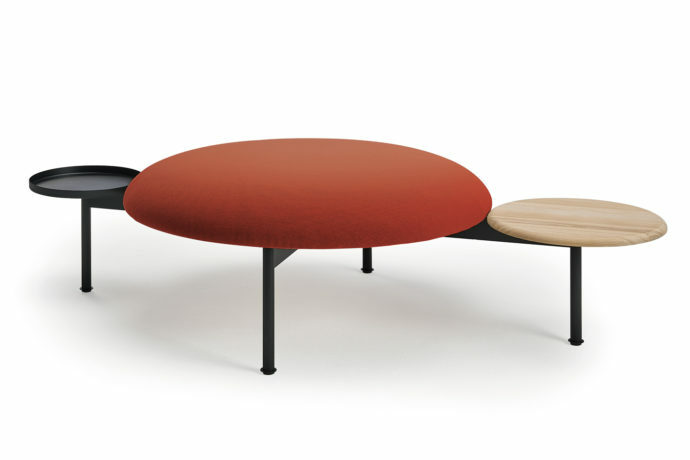 “Asana” by Estiluz can also be used as a table or reading desk - a balanced concept. 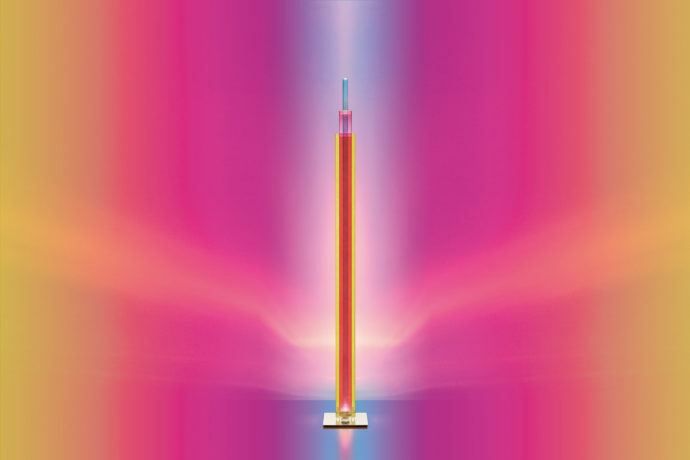 Jury statement: The floor lamp by Ferruccio Laviani for Foscarini is reminiscent of a New York skyscraper from the 1930s. Hardened and screen-printed coloured glass makes “Uptown” shine like a sculpture shining in colour gradients. 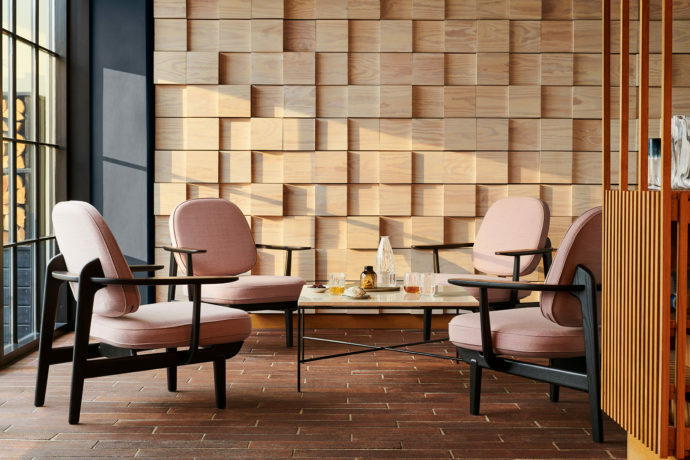 Jury statement: A bit of US design from the seventies, a touch of the Skandi look and a lot of Spanish casualness - Jaime Hayon's armchair for Fritz Hansen is as much at home in private surroundings as it is in hotel lobbies or offices. 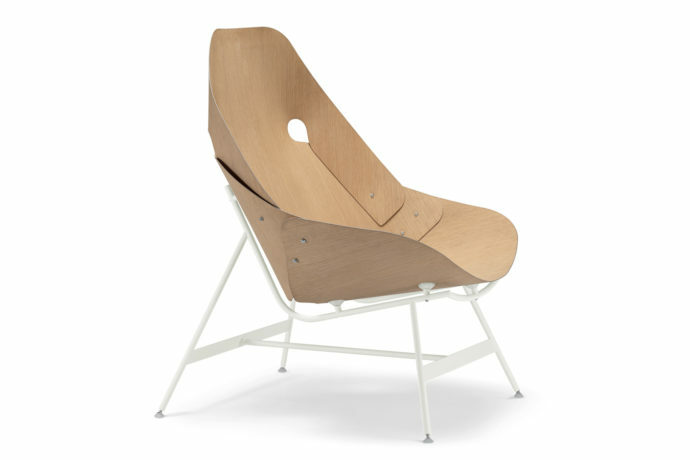 The curves of the solid wood frame continue in the curves of the upholstery. The covers are removable. 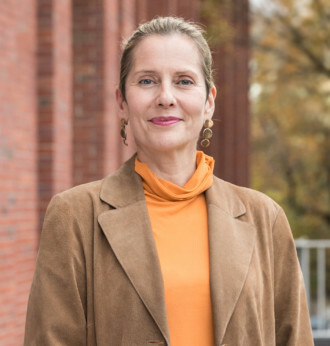 An individualist with versatility. 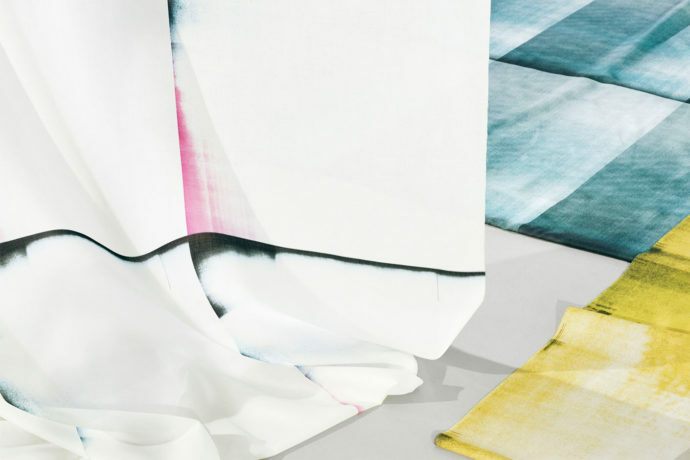 Jury statement: “Scrap_CMYK” by Rikako Nagashima for Kinnasand combines graphics and sustainability - the four airy designs are digitally printed onto recycled polyester. Jury statement: For Kreon, “Oran” is a step onto a new playground. Whereas the Belgian luminaire manufacturer had previously concentrated on architectural lighting, this is the first decorative pendant and ceiling lighting family in the range. Based on the silhouette of old workshop lamps, the collection has a minimalist contour - simply in white and black or with noble accents in bronze. The “light bulbs” are mouth-blown and available in two shapes, round and conical. 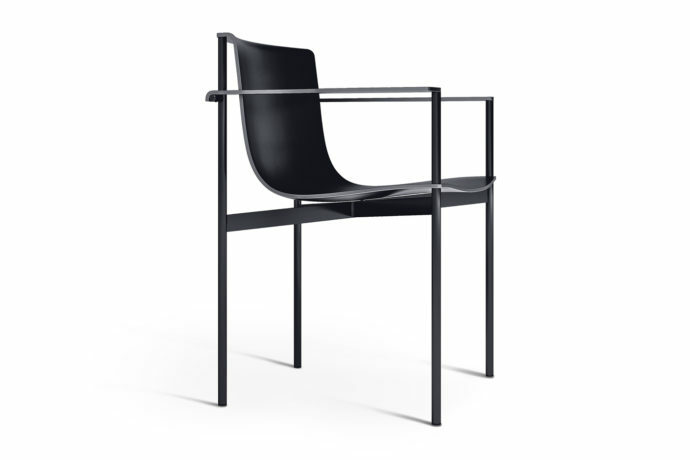 Jury statement: Geometry and function: “Ombra” by Piero Lissoni for Lema shows clear lines in black lacquered steel combined with light upholstery. 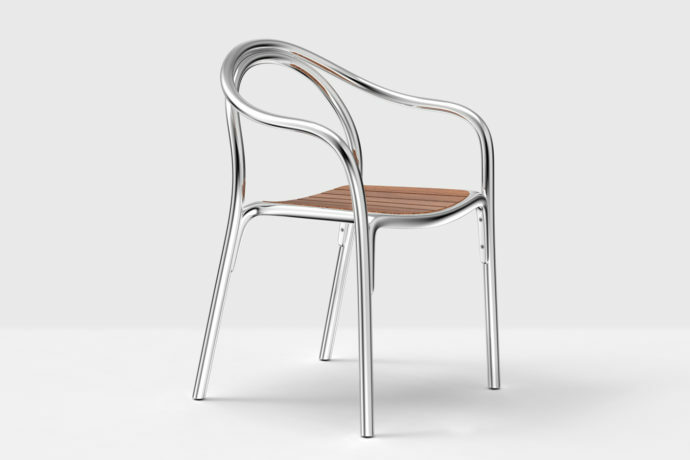 If the chair looks very filigree at first glance, the chair surprises with its strong character. 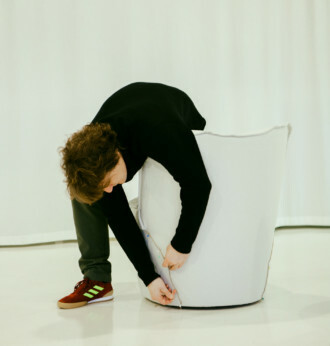 Jury statement: With “Costume” for Magis Stefan Diez combines adaptability and sustainability. 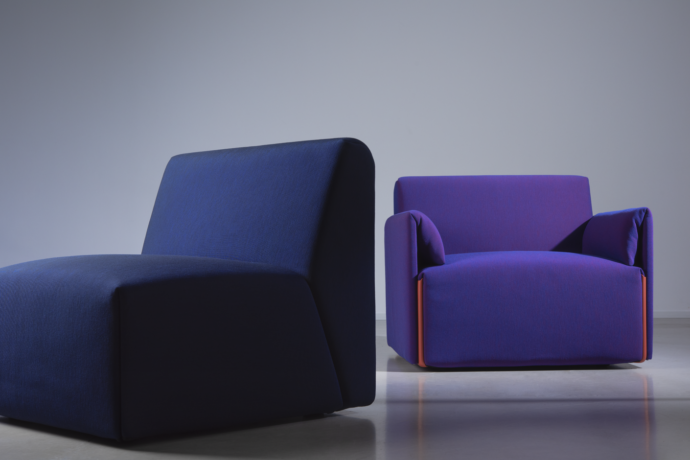 The sofa system has removable and washable covers. The basic element with optional armrest has an upholstery made of as little environmentally harmful, non-recyclable PU foam as necessary. Innovative is the way in which the seamless cover of a truck tarpaulin is stretched similarly over the seating furniture. 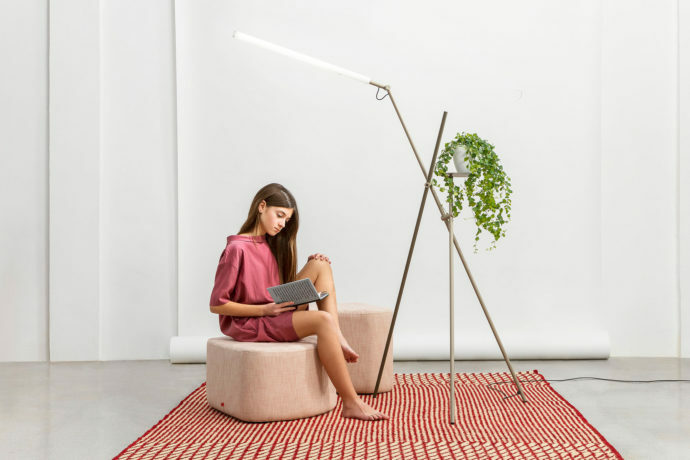 Statement of the jury: Made of magnesium, "Vela" surprises as a flexible lightweight and has been thought through down to the last detail: thanks to the recesses in the backrest and the slightly bevelled seat, rainwater simply drains away. Jury statement: You feel a little transported back to earlier times. Aren't those the seats from old trams? Or do they come from the grandstands of a sports stadium? 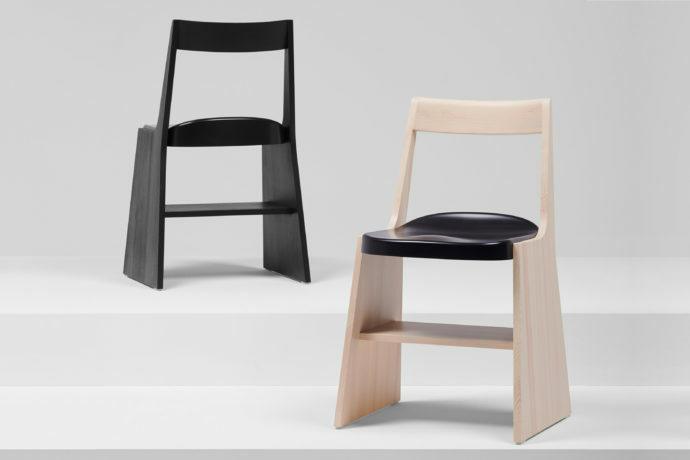 Sam Hecht and Kim Colin do not only combine wood and steel in their stool and chair series “Fronda” for Mattiazzi. They combine a familiar typology with diffuse allusions and an additional function in the form of a shelf. 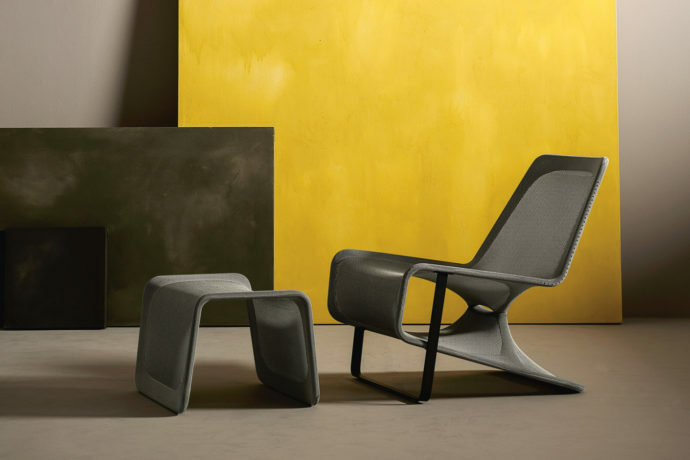 Jury statement: Sculptural and practical - “Soul” by Eugeni Quitllet for Pedrali now also moves outside and shows a new, interesting trait with its metallic surface and wooden seat. 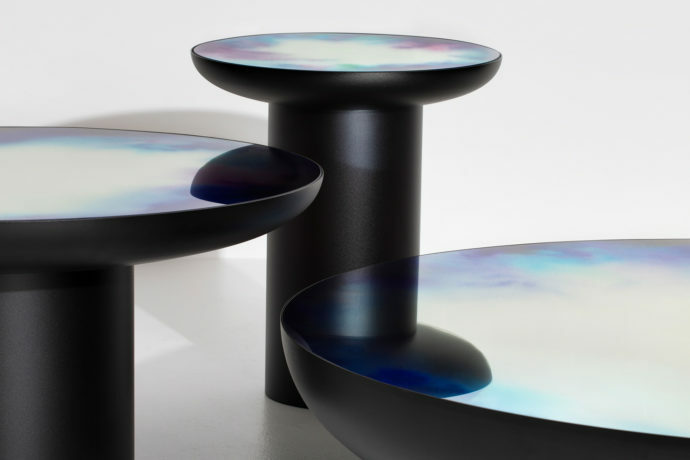 Jury statement: The surface of Constance Guisset's side table “Francis Table” for Petite Friture is reminiscent of an oil film on water - or an abstract watercolor. The colour effect gives the mirrored table surface an enormous depth. Mirrors, steel and epoxy resin varnish may be an unusual combination of materials, but here they are all successful. 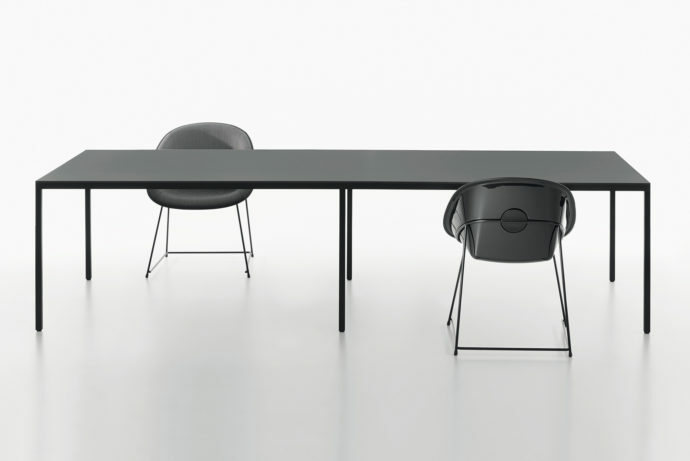 Jury statement: With "Fila" for Plank, Konstantin Grcic has created a slimline lightweight. 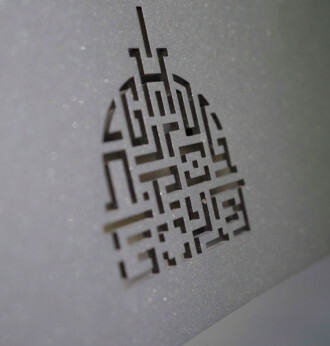 The anodised aluminium frame is available in black, silver or gold. The table top is made of HPL in a wide range of finishings and colours. Jury statement: Sebastian Herkner has translated the markance of his lamp “Bent” for Pulpo into a table foot for the series “Bent Tables”. 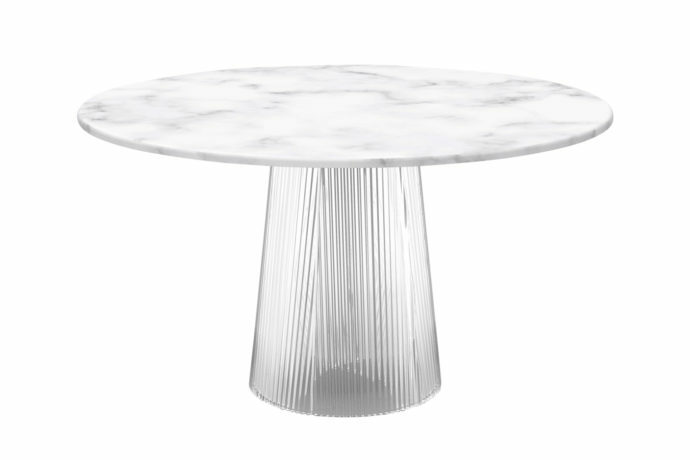 Despite its filigree cast glass shape, the foot carries a marble top in white or black and thus plays with contrast and structure. Jury statement: Based on the central subway station "Turati" in Milan, Luca Nichetto creates the “Meeting Point” for Sancal, a system of pouf and table with seat covers in red and yellow. The playful combination is multifunctional and invites you to take a short break in a pleasant way. 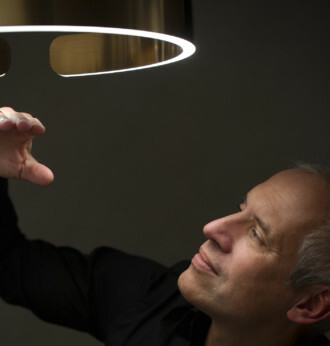 Jury statement: With “PlusMinus”, Stefan Diez has created a flexible luminaire for Vibia that does not require any complicated cabling and can be stretched horizontally or vertically with a textile band - from top to bottom, from left to right or once diagonally through the room. 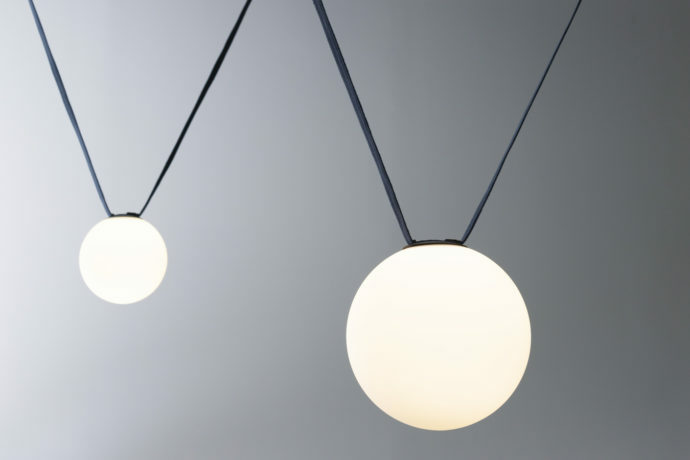 The position of the spherical or flat luminaire can be individually adjusted along the strip. Jury statement: How good a design is is usually shown in the details. 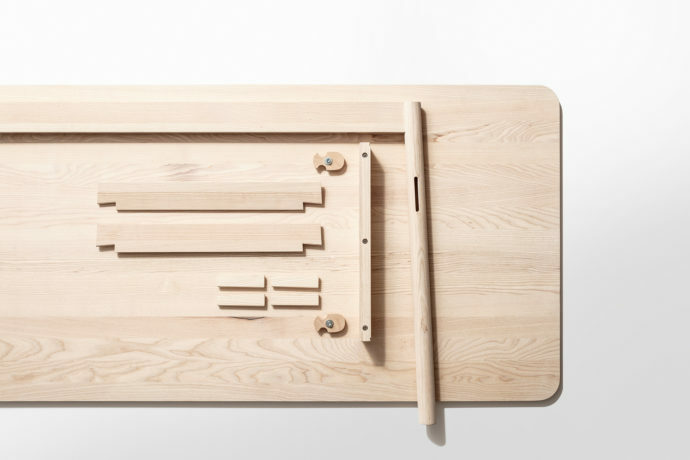 For Zeitraum Klemens Grund combines design and craftsmanship and, with “Taut”, creates a well thought-out solid wood table for a period of time which, thanks to traditional plug-in connections, can be assembled simply and without tools from a flat package of individual parts. 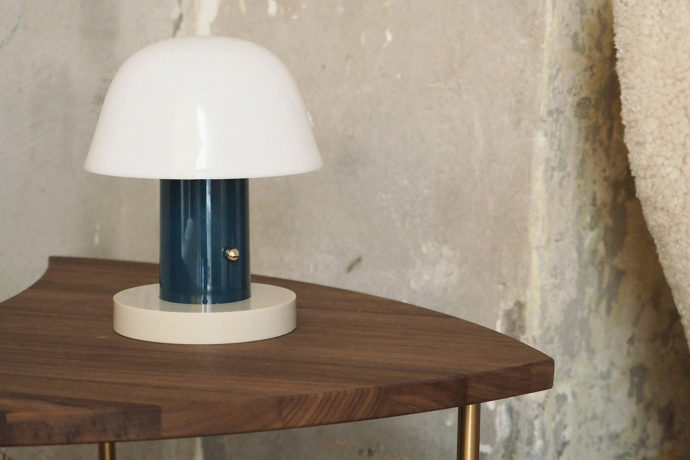 Jury statement: A small, wireless luminaire that feels at home both inside and out: Jaime Hayon's “Setago” for &tradition is inspired by a beautifully shaped mushroom that excites its white luminaire head from everything on which it is placed. And if you want the little mushroom to stay discreetly in the background, you can easily dim it. 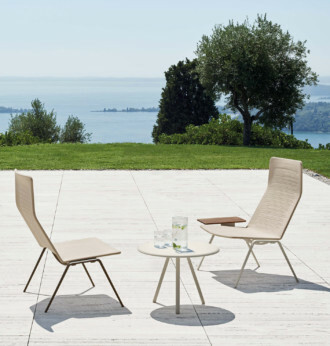 Fermob has manufactured customized outdoor furniture for the hospitality outlets in an historical building complex in Lyon, France. 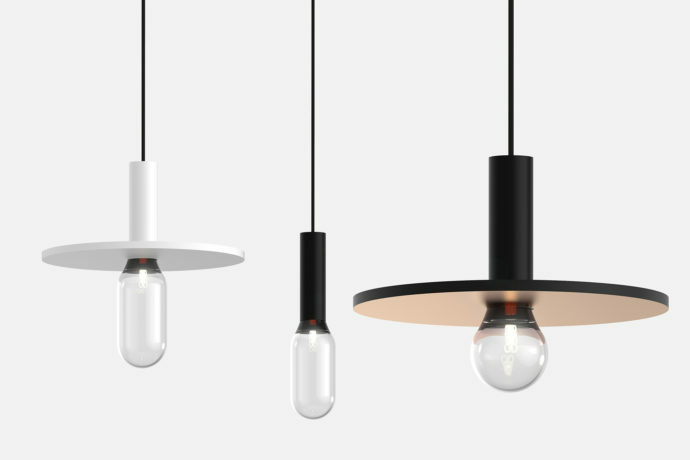 Occhio sets the tone in the world of German lighting design. 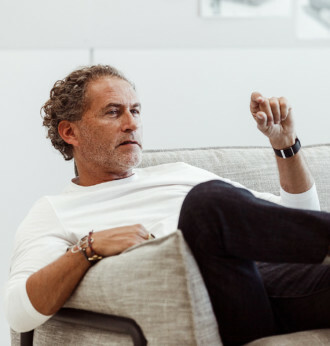 Company founder and product designer Axel Meise in interview with Robert Volhard. 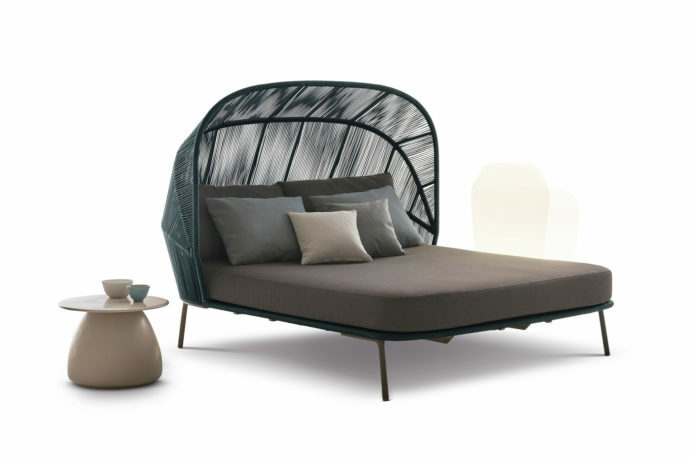 Werner Aisslinger and Tina Bunyaprasit have designed “Rolf Benz ADDIT” – a sofa that translates craftsmanship into a highly contemporary language of form. Werner Aisslinger explains the design in an interview.